My name is Julissa Ramirez and I am a student at Rutgers University. I am majoring in journalism. Something about me is that I am all about empowerment and loving yourself for who you are. I have really big, curly hair, and even though I used to hate it, I have grown to love it. Because of that, I try to dedicate myself to help others see their worth, throw away their insecurities and reach their potential. I love to write, take photos, read and anything else in between that revolves around growth and positivity. A huge goal of mine is to work for non-profit organizations and travel to raise awareness on social injustices around the world. I know it sounds pretty far, but it is a dream that I plan on making a reality. After watching 12 seasons of Grey’s, I truly believe I can grab a scalpel and save a life. If I am not engaged in either of these things, I am probably creating another Spotify playlist (I have a ton!!). As for LoudMouthJulie, I got the name from my mom. One day I asked her what I should name my Instagram, she said LoudMouthJulie and I just typed it in. I was pretty hesitant when it came to making LoudMouthJulie my blog because I am not a loud person, but I feel as though the name fits my hair and honestly, it’s a goal. I feel like we should all be LoudMouths in some way. When I say this, I do not mean literally being loud with your words, but through your actions. Be loud when it comes to injustice, inequality or anything else that makes you uncomfortable. Stand up and be loud when others can’t be for themselves. Be loud when fear starts creeping in and tries to take you away from your dreams. Overall, just be loud. I am constantly working towards this goal and I hope you are inspired to do the same. As for my blog, I will be posting on style, makeup, lifestyle and of course, HAIR!!! 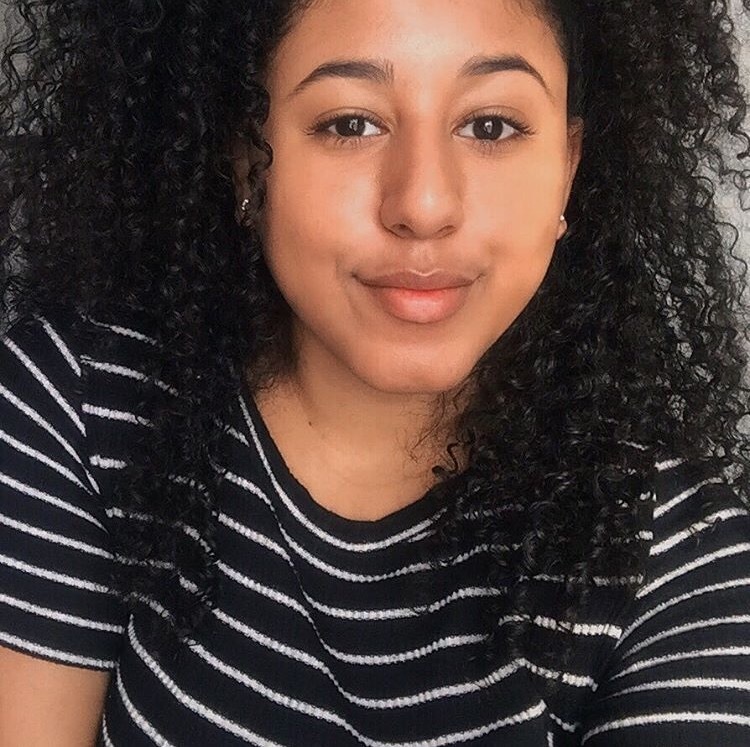 Having curly hair has had a huge impact on my life and is part of what inspired this blog. I hope you all enjoy my story along as I document pieces of my life as LoudMouthJulie.